Macau was a real eye opener for me! It was not really like China, nor did it feel like Hong Kong. Macau was just uniquely, Macau! This place is truly the las Vegas of the East, with loads of good food, lovely Portuguese architecture and cuisine as well. The Portuguese influence is everywhere.. from cobbled back streets, baroque churches and stone fortresses, to Art Deco buildings. This city is a nice blend of East and West. There is, however, much more to Macau than just gambling. The peninsula and the islands of Coloane and Taipa are lush and green. There’s also plenty of opportunity of adventure sports too. Around 95% of residents are Chinese, the remainder is mostly made up of Portuguese and Macanese, i.e. people with mixed Portuguese, Chinese and/or African blood. This time round we stayed at Cotai (which is the reclaimed land, right smack in the middle of Coloane and Taipa.. hence the name), and we only had 4 days in the city, and even less time to explore it. No matter.. the resilient traveler and foodie in me still managed to peg down enough fun things to do in Macau, and here are our 10 things to do list, that you must not miss! 1. Get Tarted out on Egg tarts! 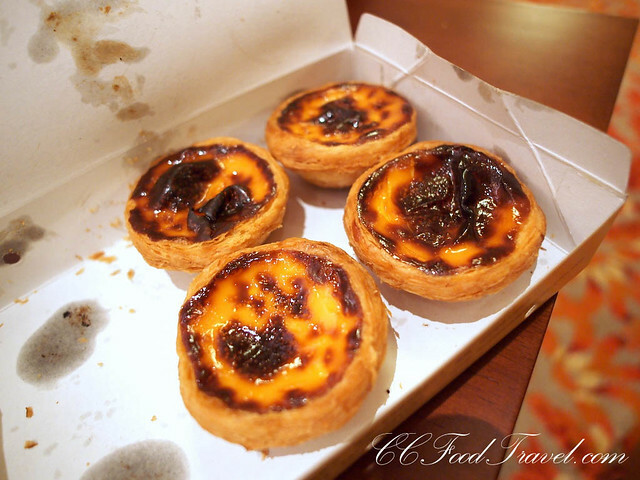 I never used to eat nor like egg tarts, till I arrived in Macau! I tell people that these hot nuggets of flaky pastry, and wobbly custard tarts are not even like the egg tarts we get back home. They are in a class of their own! And not just any tarts.. but specifically Lord Stow’s tarts. Never Say No, to a hot Tart! Though the celebrated English baker Andrew Stow passed away, his cafe and Lord Stow’s Bakery (1 Rua da Tassara) keep his memory well alive by serving his renowned pastéis de nata, a warm egg-custard tart which cost around RM3 per piece but they are totally worth it. The top part of the egg tarts are nicely brown and impart a smoky flavor to this snack that you can just pick up and eat on the go. I think I must have eaten a dozen of these in just over 4 days! The Ruins of St. Paul’s refer to the facade of what was originally the Church of Mater Dei built in 1602-1640 and the ruins of St. Paul’s College, which stood adjacent to the Church, both destroyed by fire in 1835. 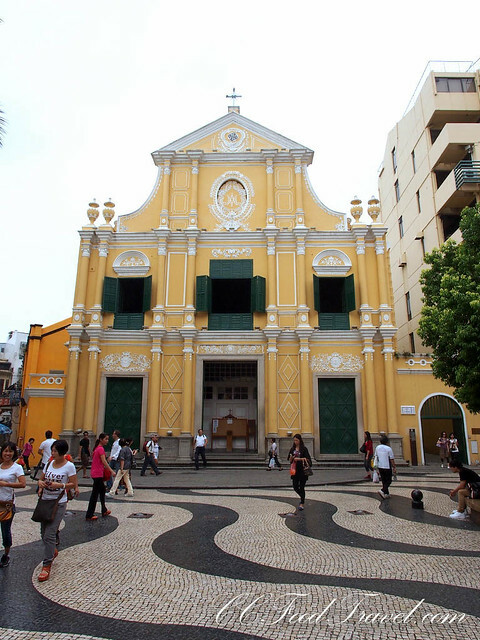 As a whole, the old Church of Mater Dei, St. Paul’s College and Mount Fortress were all Jesuit constructions and formed what can be perceived as the Macao’s “acropolis”. The facade of the Ruins of St. Paul’s measures 23 metres across and 25.5 metres high and is divided into five levels. Nowadays, the facade of the Ruins of St. Paul’s functions symbolically as an altar to the city. The baroque/mannerist design of this granite facade is unique in China. 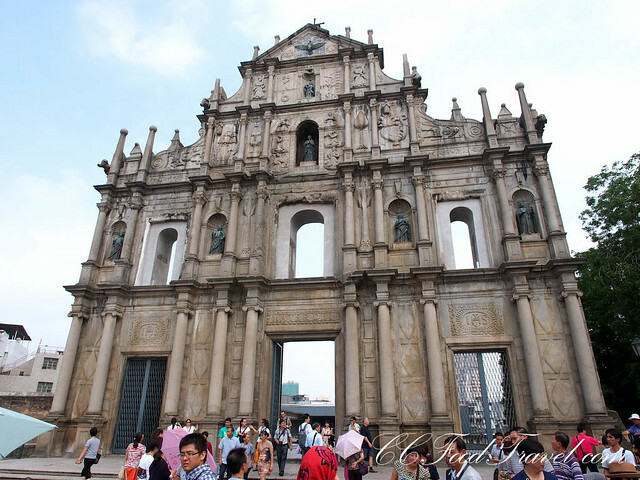 The Ruins of St. Paul’s are one of the finest examples of Macao’s outstanding universal value. Sheraton Macau Hotel, Cotai Central is part of Sands Cotai Central, Macau’s newest, fully integrated resort and a premier shopping, dining and entertainment destination on the Cotai Strip. Easily accessible by air, land and sea, Macau was visited by 13 million tourists in the first half of 2012, with the majority coming from mainland China. Macau has surpassed Las Vegas as the world’s biggest casino market since 2006 and is the only place in China where casino resorts are legal. This Polynesian-themed casino at the Sheraton Macau hotel is spacious, airy and spanking new. It does not have that claustrophobic feel of smaller casinos. This is Sands’ fifth casino in Macau and if you are bored or run out of things to do, you can always try your hand at the tables! Luck be a lady tonight! 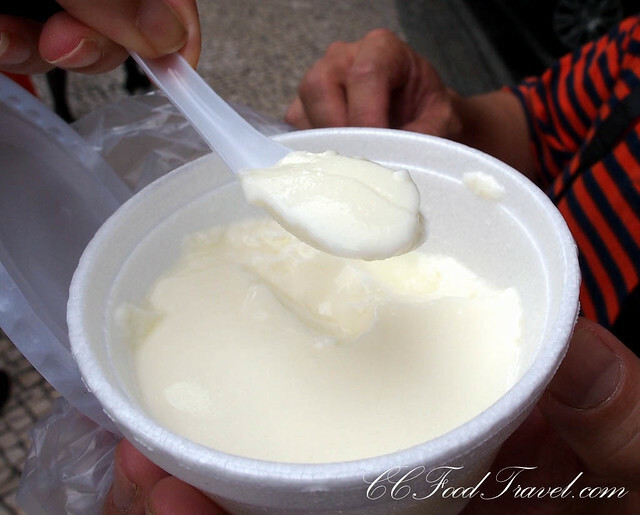 One of the must eats in Macau include the smooth and creamy milk pudding. 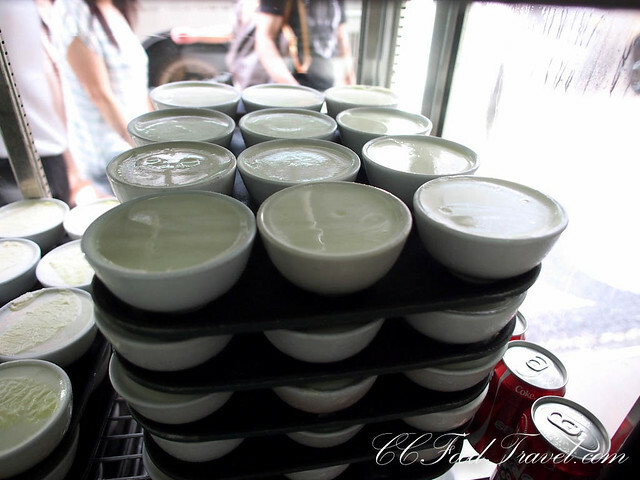 The steam milk pudding comes in many varieties which include ginger, red bean and the normal flavour. We tried the cold version and it was not terrific. Later we were told that we should have had the hot ginger milk pudding instead! No matter, can always return for more.. 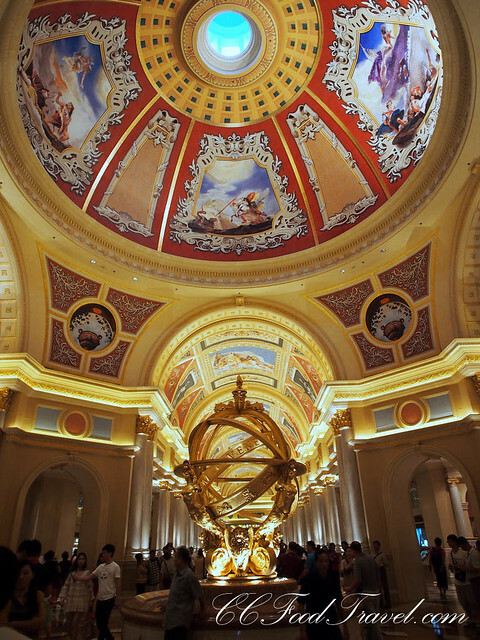 Located on the Cotai Strip, the Venetian is hard to miss. It is OTT (over the top), gaudy, congested with people.. but there is nothing quite like it, so it is definitely a must visit. The Venetian itself is a 40-story, $2.4 billion anchor for the 7 hotels on the Cotai Strip in Macau. 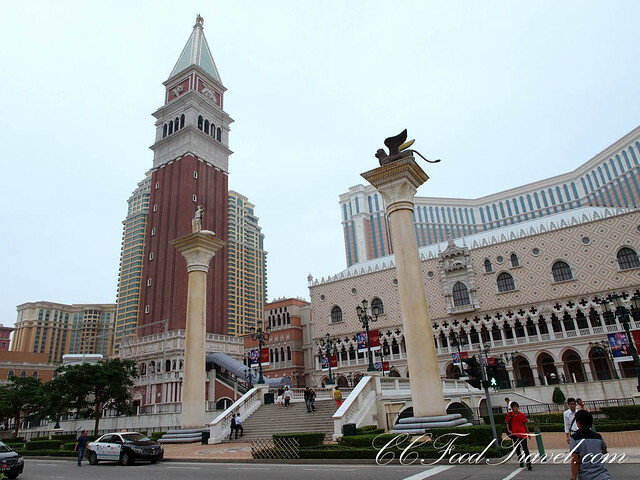 The 10,500,000-square-foot Venetian Macao is modeled on its sister casino resort – The Venetian in Las Vegas – and is the largest single structure hotel building in Asia, The sixth-largest building in the world by area and the largest casino in the world. Garish and gaudy.. we like! Fancy a ride on a gondola? 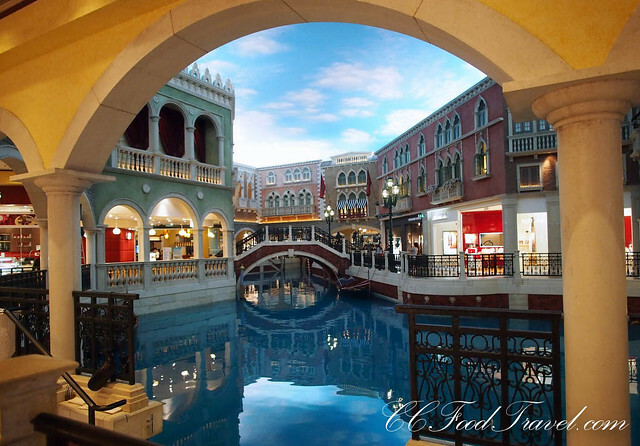 The Venetian has the largest casino in all of Macau and it comes complete with a shopping center, and even has a canal (St Luca) running through the heart of it. If it’s your cup of tea, then perhaps go for a ride in a gondola and listen to the lovely voices of the singing gondoliers. The main hotel tower was finished in July 2007 and the resort officially opened on 28 August 2007. The resort has 3000 suites, 1,200,000 sq ft of convention space, 1,600,000 sq ft of retail, 550,000 square feet of casino space – with 3400 slot machines and 800 gambling tables and a 15,000 seat CotaiArena for entertainment and sports events! Wow, how will one ever finish seeing and doing everything here? 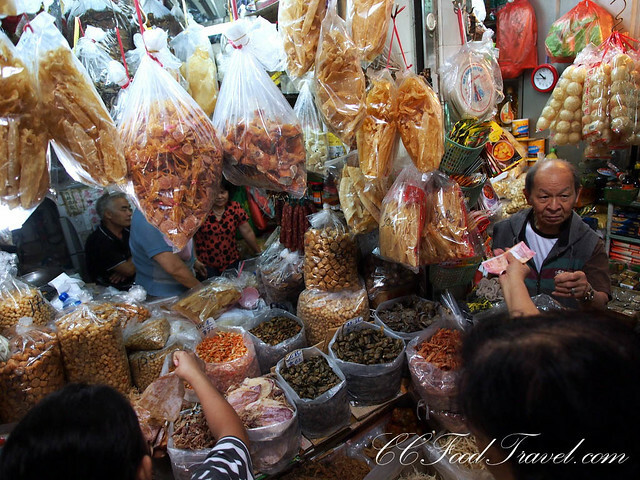 On Rua de Felicidade – the ‘street of happiness’ but more commonly known as ‘street of souvenirs’ – a cluster of shops sell Chinese pastries original to Macau. Koi Kei specialises in almond biscuits with pork floss, phoenix rolls (shredded pork wrapped with seaweed) and peanut candies. Tracing its roots back to a cart selling only crunchy peanut and ginger candy, Koi Kei established its first shop in 1997 and initiated the trend of making almond cake and egg roll immediately upon customer’s request. Currently selling over 300 varieties of product, the most popular items include the almond cake, egg roll, crunchy peanut candy, and fillet of beef and pork. 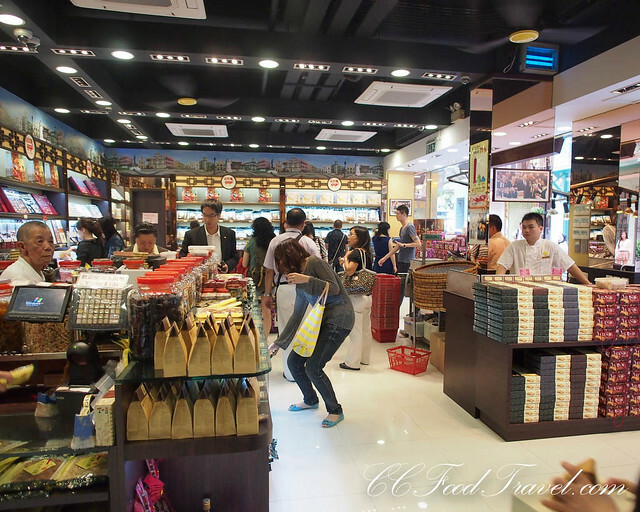 Koi Kei has 14 chain stores in Macau and 6 chain stores in HK, owning their own factory, employing 400 staff and ,above all, gaining recognition as the “most popular food souvenir” champion in Macau, occupying 71% percent of the current market and it has the more elaborate choices and happens to be our top pick! 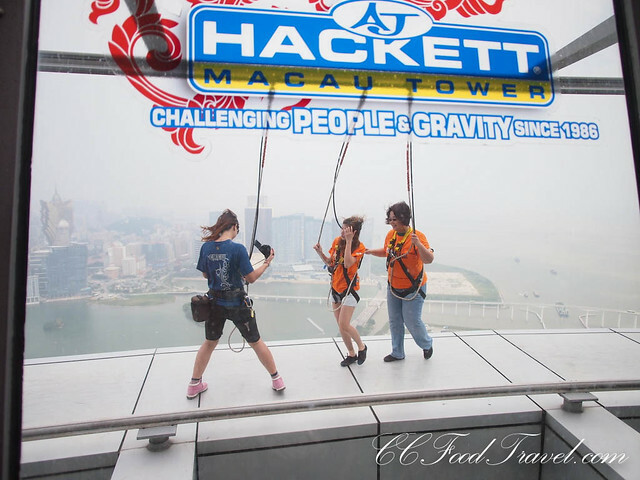 The World’s Highest Bungee Jump at Macau Tower means anyone brave enough to take it on, will free fall at a speed of up to 200km/h for the ultimate extreme journey. Plunging from a platform 233m high, it’s a 4-5 second freefall before stretching the 50 meter bungy cord nearly four times its unloaded length and rebounding at approximately 30 meters above the ground. Leap of faith or folly? The Skyfall is a great alternative to the Bungee jump as it is a controlled jump with a harness. Still.. it is pretty nerve wrecking! With the clever use of a guide cable system, bungee jumpers will be able to safely experience a few rebounds before slowing down to a halt. Which begs the question.. do you have the b**** to do this?! 😛 The Bungee costs, RM1500 for the full package. 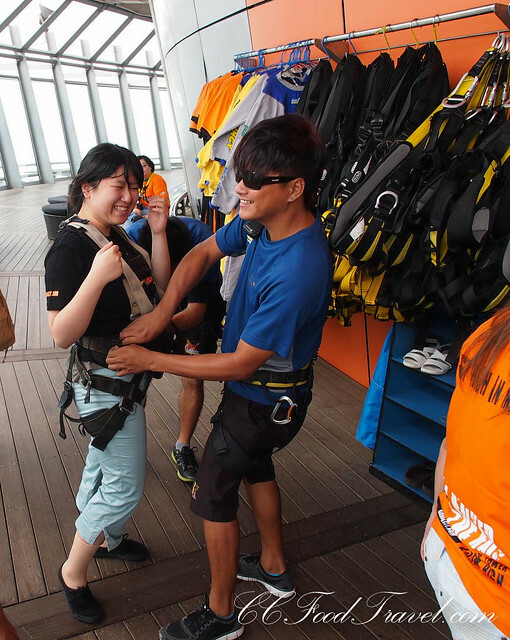 There is also a Skyjump (controlled jump with harness) priced at RM1000 and a skywalk (around the parimeter of the tower) priced at RM300. 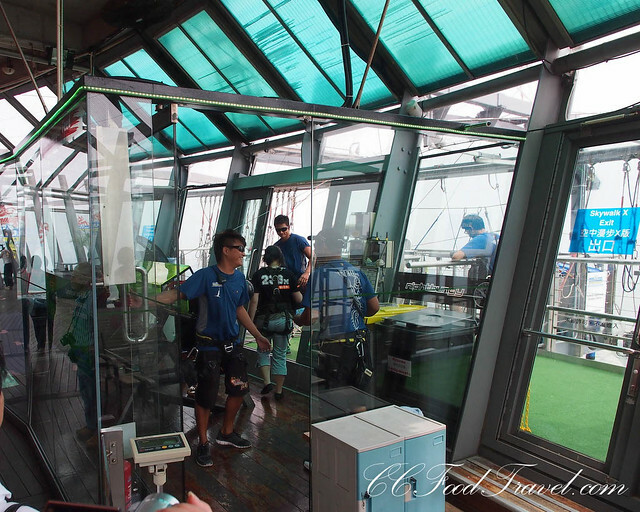 Skywalk – the least scary of the lot! Shrimp ovum or Shrimp roe noodles is a unique delicacy of Macau and Hong Kong. 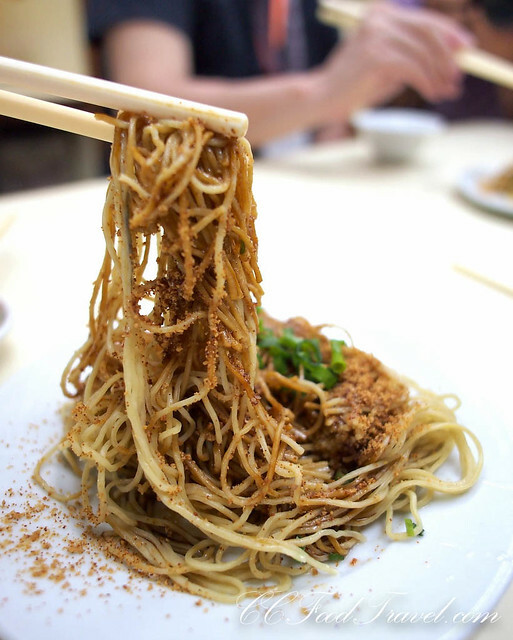 The cramped stall is found on the roadside and the taste its noodles is out of this world. Definitely a must eat! A wee shop, that is big on flavour! 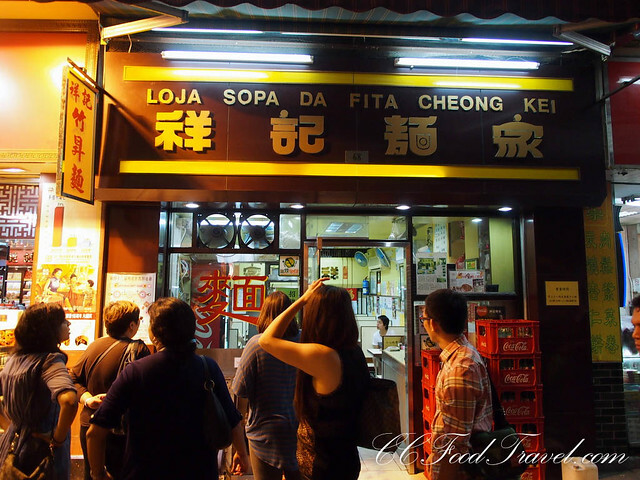 Open in the 1950’s, peak-time queues at Cheong Kei (G/F, 68 R. da Felicidade, Avenida de Almeida Ribeiro) are a clue that this long-standing noodle joint on the ‘street of happiness’ has a loyal following. Apart form the delectable shrimp ovum noodles, the stewed noodles with jelly fish ( hoi chik lou mein) are famous too. The place is small, cramped with just a few communal tables.. be prepared for a squeeze. Fantastic eggy shrimp roe noodles.. words cannot describe the deliciousness of this dish! booths are so small they can hardly sit two! Till this day, the noodles are still handmade by their master chef using a bamboo pole. This traditional method is said to be the best way to make noodles with a springy consistency as using this sort of force on the dough helps it to retain the dense and chewy nature. The noodles as it turned out were eggy, dry and harder than the sort of wantan mee noodles in KL. Still super tasty and addictive, especially with each mouthful of exploding shrimp roe! Atop Alto de Coloane (176m), this 20m-high white jade statue of the goddess who gave Macau its name was erected in 1998. Below it is Tian Hou Temple (8am-7.30pm), which, together with the statue, form the core of A-Ma Cultural Village, a religious complex with a museum, retreat and medical centres, plus a vegetarian restaurant. It’s popular with Fujianese and Taiwanese worshippers, and is rather commercial. You’ll probably see traders selling stuff supposedly meant to bring luck and wealth, including birds and turtles. Shopping is synonymous with Senado square and apparently locals shop here too, so this is where you get the best bargains. Around the Senado Square, there are other attractions. At the end of the paved road, there is the St. Domingo’s Church. On the third floor of the church there is a museum of paintings, sculptures and liturgical ornaments that illustrate the history of the Roman Catholic Church in Asia. Walk to north of the church and you will arrive at the Ruínas de S. Paulo (Ruins of St. Paul). Right at the east of the Ruínas de S. Paulo is the Museu de Macau (Macau Museum), in which historical relics of Macau are exhibited. Walk to the southeast along the Av. 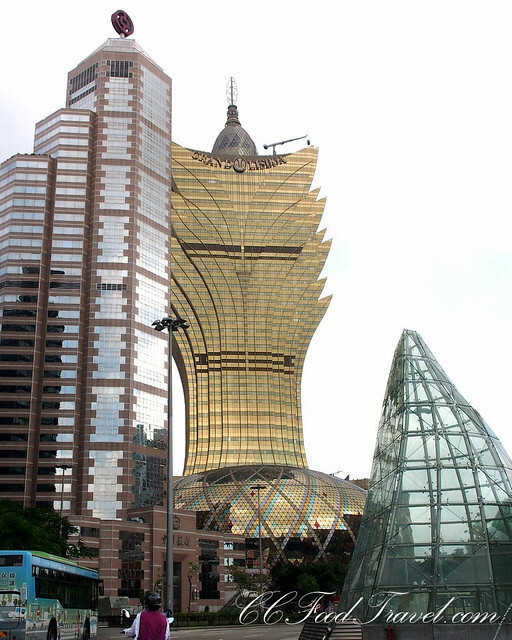 De Almeida Ribeiro (San Ma Lo) from the square, and you will find the Grand Lisboa, which is a casino hotel and is known for its magnificence. 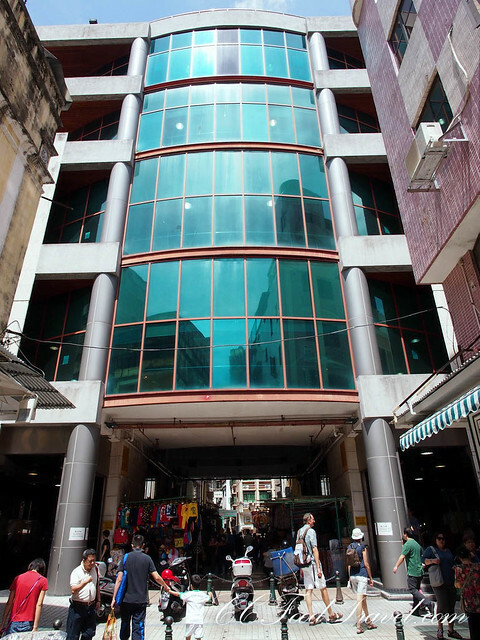 Some where in the heart of the shopping district is a Wet market (Rua Leste Do, Mercado De S. Domingos) .. be sure to get your dried oysters and scallops here, and also to visit the food court at the top floor of the wet market for some of the best beef ball noodles in town! Best place to buy dry scallops and oysters! 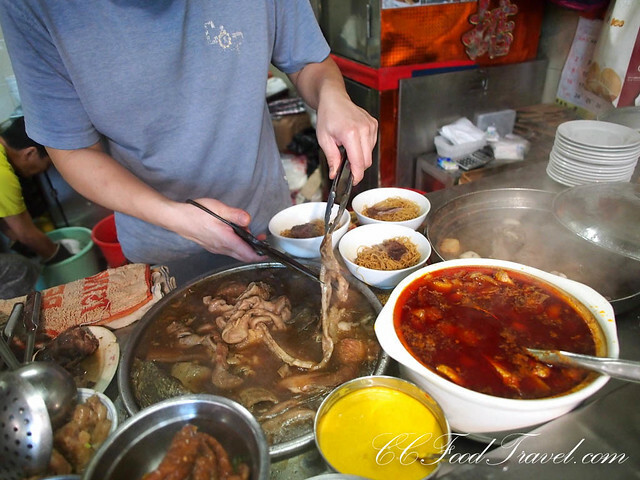 Succulent, beef tripe, stomach, intestine and juicy meat.. in a thick beef broth that has been simmering for hours. Tasty as hell! Love our photos.. Love our FB ! 🙂 thanks! Well done, babe – a nice round-up of our hectic trip! 🙂 Now, to work on mine….started halfway only, haiya! Skywalk and bungee jumping..my cup of tea! Did you do it babe? No.. no time la! LOL. They didn’t wanna wait for us..
A great mix of activities for those looking for tips when visiting Macau. Great to know there are some lush islands to visit as well. Nicely done Mei! I was in Macau for just 10 hours or so on a spur of the moment decision to visit from Hong Kong. 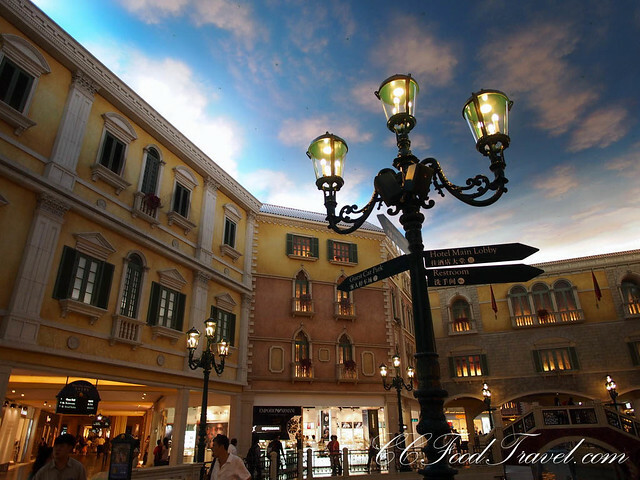 It was a whirlwind trip that included egg tarts, The Venetian, other casinos, and food. LIke you mentioned, Macau doesn’t really feel like China, yet it’s not Hong Kong either – really is a unique and interesting place. Eek! My stomach is doing turns just thinking about that bungee jump! Did you do it? I think the skywalk would be enough for me! Whoa! I thought it was Vegas from the first shot, ha! 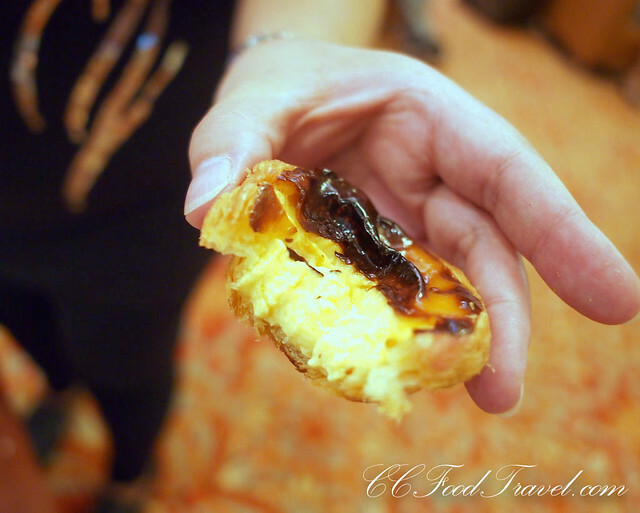 The portuguese tarts look so good – I love those! YUM! Did you go bungee jumping? I would have a heart attack! Macau seems like a really cool fusion of East and West, as you say. The pics of the casino really look a lot like Las Vegas! No coz we didn’t have enough time, and the group was waiting for us..
OK set:) That’s the other thing I wanted to eat, but had no time! The Venetian is breath taking! Great post Ciki. What I pitty I hadn’t read it before I headed to Macau this summer 🙁 I had some nice food there and gambled a little losing some money 😉 Did you have some food in the casino? It was supper delicious and so cheap, much cheaper than the street food. I wish I could jump off the Macau Tower 🙁 didn’t have a chance. Looks like some interesting food to try out. I could care less about gambling but I could see that a day or two there would be fun. Same here! So much more to to in Macau than just the roulette tables! Love the vibe and energy on the streets. A great culture and food to match too!